Replica LNWR goods station, Blists Hill, Ironbridge Gorge Museum, 13 December 2012 1. 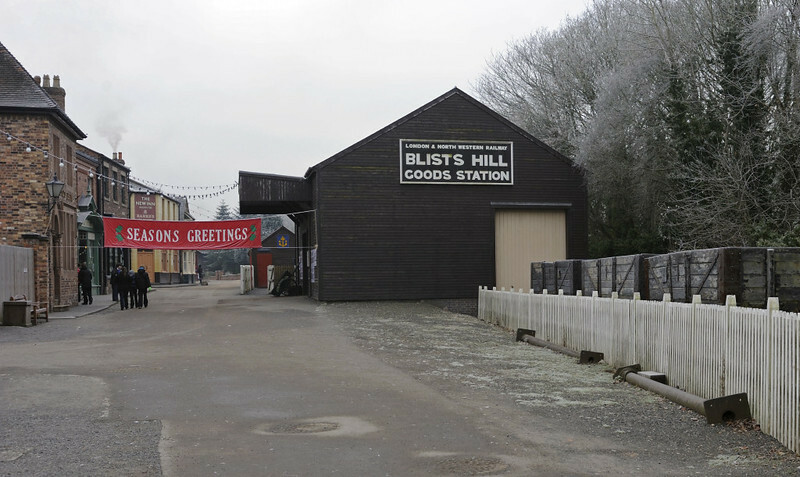 Blists Hill used to be on a closed LNWR branch from Hadley Junction, on the LNWR Wellington - Stafford line (also closed). The branch ran to Coalport, on the north bank of the River Severn.